This blog is dedicated to a building that I spend a lot of time in: The OT House. Although I don’t actually live in the OT House (I live in an apartment in Pasadena), most of my friends do, so it’s become a second home for me. 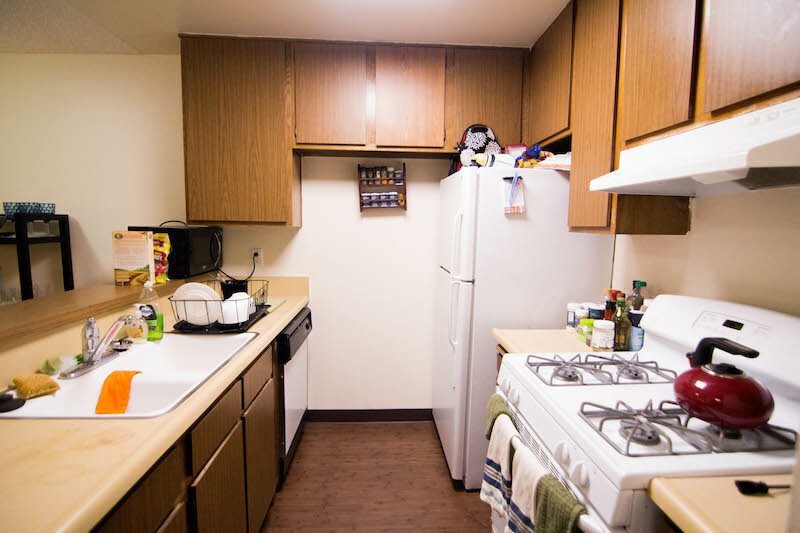 Linah offered some advice about finding housing in LA and Kaitlyn wrote about Currie Hall, a graduate student housing option on the Health Sciences campus, so here’s one more housing perspective. The OT House (officially named Centennial Apartments) is a graduate student apartment located near the USC University Park Campus. Each unit is a 2 bedroom, 1 bathroom apartment with a kitchen, living room, and balcony. The building has a communal outdoor patio with lounge chairs and a grill. A gym is located in the basement with cardio equipment (2 treadmills, 2 ellipticals) as well as two benches with free weights. There is a communal lounge on the first floor with a large TV and table space to study with a group. Washers and dryers are available on every floor. 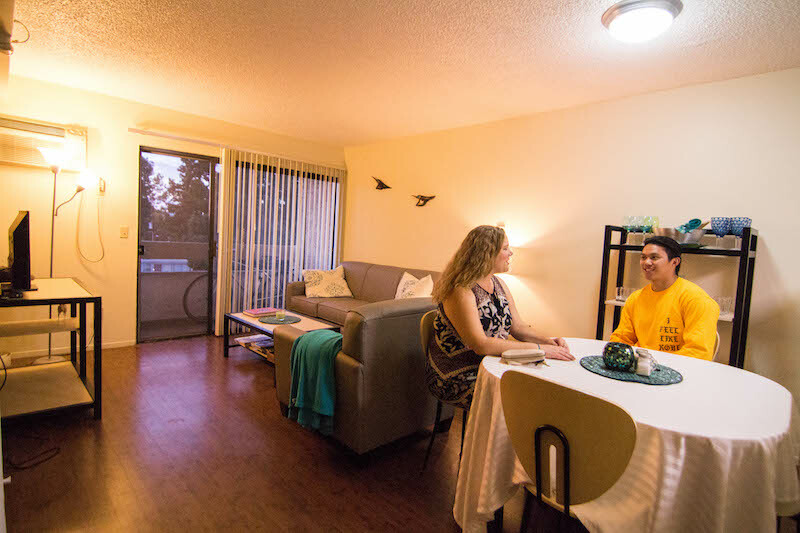 The OT House is a short walk to USC’s University Park Campus – easy access to the libraries and fun events on campus. The Village, a new complex with a Trader Joes, Target, restaurants, and a gym is also a short walk away. Additionally, the OT house is centrally located in Los Angeles, a short drive to downtown and 30 minutes away from the beach! There is an inter-campus tram that picks students up right in front of the OT House in the morning and drops students off on the Health Science campus, where all of our classes take place. It’s a quick 30 minute ride - no need to have a car or deal with navigating traffic to get to school in the morning! The OT house is also within the Campus Cruiser boundaries; from 7PM-2AM students can take a free Lyft ride to anywhere else within the boundary. There are a couple of metro stops near the OT House, which students can use to commute to Fieldwork if they don’t have a car. The building is very secure! You have to swipe into the building entrance AND swipe into the elevator. Only residents of the building are able to enter. A key is required to enter each floor using the stairs, and doors are locked with a key. In the event of an emergency, campus security is a quick phone call away. Living with fellow OT students is a great way to make friends and study partners! There is a Resident Advisor who plans various events for the building (most recently, trivia), and there is an OT Faculty Advisor, currently Dr. Kim Lenington, who lives at the OT house (with her very cute dog, Barney) and is available to spend time with and support students living at the OT House. I’m an “honorary” member of the OT House Facebook group, and I’ve attended a lot of fun gatherings at the OT House: 4th of July barbeque, superbowl party, holiday gift exchange, a wine and cheese sampling soiree, and so much more! Additionally, Engage is a weekly community outreach program hosted at the OT House. It’s a fun way to connect with and mentor children and young adults in the community, with games, activities, and dinner. The OT House is FULLY furnished: table and chairs in the dining area; couch, chair, and tables in the living room; bed, desk, and storage drawers in the bedroom (and sizable closets); fridge/freezer, oven, stove, and dishwasher in the kitchen (no microwave provided). For anyone moving to LA to start the program, this makes the move significantly easier – no furniture shopping or movers to deal with! Though the bathroom is shared, there are 2 sinks and the toilet and shower are in separate rooms, making it an easy set-up for a shared bathroom. The apartment has A/C, and you can control your own air in each of the bedrooms – negates the awkward thermostat debates with your roommate. The 2018-2019 monthly rate per person will be $1,235, which is pretty competitive for Los Angeles. The housing contract lines up with the USC academic year – student can live there August-May and can do a summer contract May-August. This summer option is nice, as some students will choose to live in the OT House their first summer in the program, meet some friends, settle in and learn the LA area a little better, and then move to a different housing location for the fall. For students interested in doing Level II Fieldwork out of area during the summer, they don’t have to deal with paying for rent in two places or finding someone to sublet while they’re away. The OT House has secure parking beneath and behind it, but it’s not free. Students living at the OT House pay $75/month for parking. There are washer/dryer units on each floor of the building, but those aren’t free either: the washer is $1.50 per load and the dryer is $1 per load. There is not a communal printer in the OT House; the closest one is in Sierra, another apartment building, which is a 5 minute walk away. Students get 50 pages of printing free per year. Packages deliveries are also sent to Sierra, which is not open late at night. Timing package pick up around the class schedule has been a complaint from my friends who live at the OT House. When taking the inter-campus shuttle back home at the end of the day, the route changes a little bit. It does not drop students back off right in front of the OT House. The closest stop in the afternoon is a 15-minute walk away from the OT House. Sure, I could spin it and say it incorporates a little activity into your day and allows you to hang out with friends and debrief the school day, but let’s be real. Sometimes at the end of the day, you just want to plop onto the couch, watch some TV, and not talk to anyone, and this added time to the commute delays that. I’ve made a lot of great memories in the OT House, so I’m definitely partial to it, but there’s a lot to consider when deciding where to live. You can find more information about the OT House on our website and on the USC housing website. Hopefully this helps those of you thinking about the transition to LA!